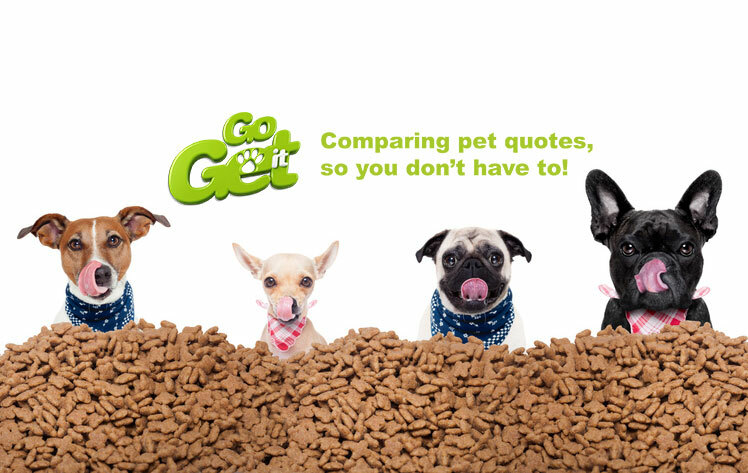 Go Get it found that with 932,000 claims made in 2016 following accidents, injuries and illnesses and the average claim for a vet visit in 2016 costing £750*, pet owners are insuring their loved ones more than ever. Researchers at the University of Liverpool and Mars Petcare's Waltham Centre for Pet Nutrition found that the lifespan of dogs who were overweight was up to two and a half years shorter when compared to ideal-weight dogs. The study, published in the Journal of Veterinary Internal Medicine, took a retrospective look at more than 50,000 dogs across 12 of the most popular breeds. "Owners are often unaware that their dog is overweight, and many may not realise the impact that it can have on health. Overweight pets are more likely to suffer from other problems such as joint disease, breathing issues, and certain types of cancer, as well as having a poorer quality of life. These health and wellbeing issues can significantly impact how long they live. For many owners, giving food, particularly tasty table scraps and tidbits, is the way we show affection for our pets. Being careful about what you feed your dog could go a long way to keeping them in good shape and enabling them to be around for many years to come." As well as vets fees, Go Get it insurance policies can cover a number of benefits including death, theft, straying, third party liability (dogs only), advertising & reward costs, kennel/cattery fees and even trips abroad (see policy terms & conditions for details). As animal welfare charity Blue Cross points out, dogs are scavengers in the wild and it is natural for them to eat everything they find -- whether they are hungry or not. Begging for food is a trick that they quickly learn to exploit, so it's best not to give them any scraps when you're eating. To help your dog stay trim and healthy, measure how much food you put out at mealtimes -- and if you do give scraps or other treats, deduct this from their daily allowance to help avoid overfeeding. Having pet insurance in place is also advisable to cover any unexpected vet bills and required treatments.